The first winter seasonal from Alltech Lexington Brewing and Distilling Co. (Lexington, KY) is Kentucky Honey Barrel Brown Ale. The beer is aged in bourbon barrels for six weeks with 1,700 pounds of local Hosey Honey and ginger from Boyd’s Bottom Hop Farm. Lexington Honey Barrel Brown Ale is now available in 12oz bottles and draft across the brewery’s distribution network for a limited time. Four-packs of Kentucky Honey Barrel Brown Ale from Alltech Lexington Brewing and Distilling Company will soon hit shelves across the country. 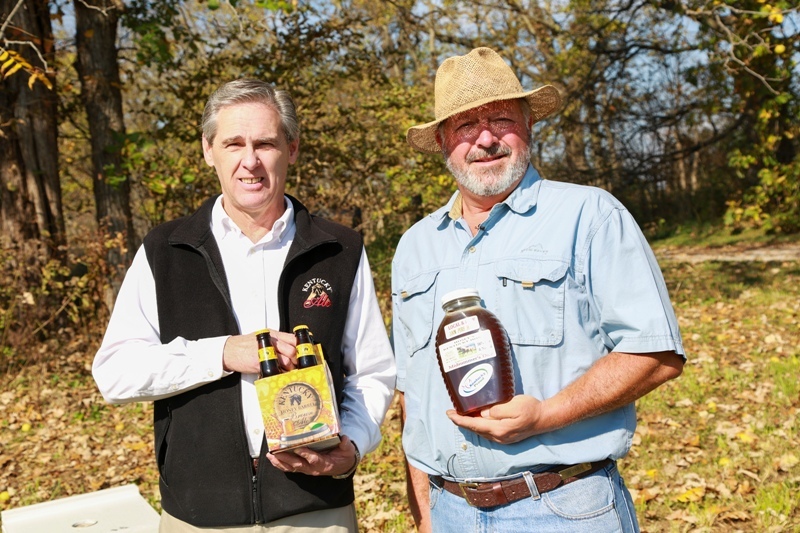 Master brewer Ken Lee used honey in the brew from beekeeper Richard Hosey of Hosey Farms in Midway. The winter seasonal barrel-aged brown ale is brewed with ginger and Kentucky honey.